Porsche has been dominating the racetrack and the roads for generations now. The 911 is considered one of the greatest Porsches of all time. The standout model contains fantastic styling and the ability to take the trickiest of turns as it ran laps around its competitors. 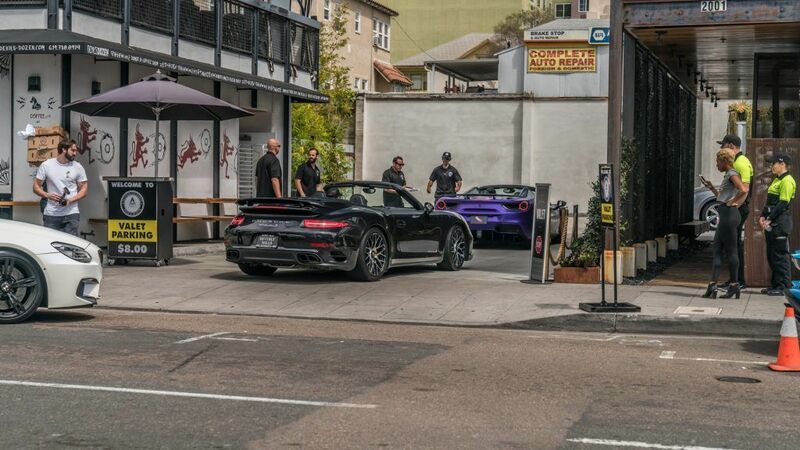 The latest generation is called the 991 and takes all of those great features from the past while combining all of the newest in engineering and advancements. The result is a truly remarkable vehicle. Here are the top five reasons the Porsche 991 Turbo S is the ultimate sports car. If you are a car enthusiast, this is likely the first metric you look at. There’s plenty of important numbers, you can get to later, but the time it takes to go from zero to sixty miles per hour is the make or break moment. It takes the Porsche 991 Turbo S just a blisteringly fast 2.9 seconds to get up to sixty-two miles per hour. And barely a hair longer to get to one hundred. Most supercars are a walking time bomb. They can sit in your pristine, climate-controlled garage and can be finely tuned every day, and still not start for some reason. Unlike others in the supercar class, the Porsche 991 Turbo S is a true road car. You’re meant to really take it out and enjoy it and its versatility even driving in racetrack like conditions is unbeatable. If you have the dollars to throw out for a Porsche, usually gas prices aren’t one of your big concerns. However, drive time always should be! Beneath this behemoth of an engine has been some serious upgrades in miles per gallon. You can get up to thirty-one miles per gallon, though that may be a little ambitious depending on how you drive it. It’s the perfect road trip vehicle. That means you can cross a major chunk of the Mojave Desert on just one tank! Most supercars are made primarily for performance first, comfort second. Let’s face it. You’re not always going to be flying down the highways at top speed. The interior and infotainment systems have recently undergone a big upgrade making this performance beast a real comfort to also just cruise down the coast and enjoy some of your favorite tunes. The 911’s has an incredible legacy. It is one of the longest-running sports car series in the world. The Porsche 991 Turbo S is clearly another continuation of this great history. It has the classic look of its forebears while still having some modern flourishes that reflect all the high tech hardware that went into making this fantastic car. These reasons are just the beginning of why the Porsche 991 Turbo S is the best all-around sports car. From its design to its performance handling and even its functionality, it is truly something special. So, get on the road and get behind the wheel of one today!